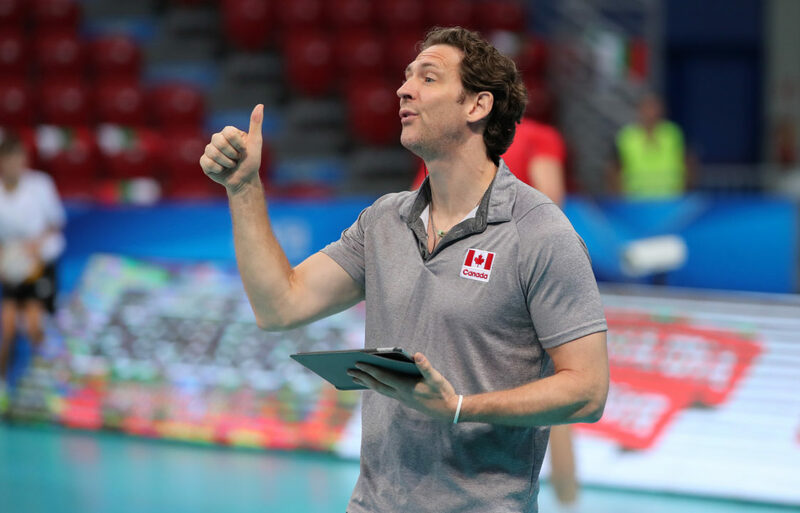 The 42-year old Frenchman took over the Canadian Men’s National Team program after the Olympics and led the team to a bronze medal at the 2017 World League – their highest-ever finish at that tournament. The team struggled with injuries in 2018 and ultimately finished 7th in the inaugural edition of the Nations League and tied-for-9th at the World Championships. That was 2 spots lower than they placed in 2014 – where a 7th-place run was their best-ever finish. In 2017 Antiga was also named the head coach of ONICO Waszawa in Poland. The club, a major power for most of its history, finished just 7th in the PlusLiga in Antiga’s first season at the helm, which left them out of the playoff. As an athlete, Antiga was a member of the French National Team from 1998 through 2010, which earned him a spot at the 2004 Olympic Games and silver medals at the 2003 and 2009 European Championships. After retirement, he quickly rose up the ranks of internaitonal coaching, leading Poland from 2014-2016, including to the World Championship in 2014. After the Olympics, Vital Heynen took over the Polish team, and they won the 2018 title last week as well. The National Team of Antiga’s native France, in spite of being loaded with talent, finished just tied-for-7th at this year’s World Championships. Even after that disappointment, there have been no public insinuations that the job in Antiga’s native France might open up before Tokyo.